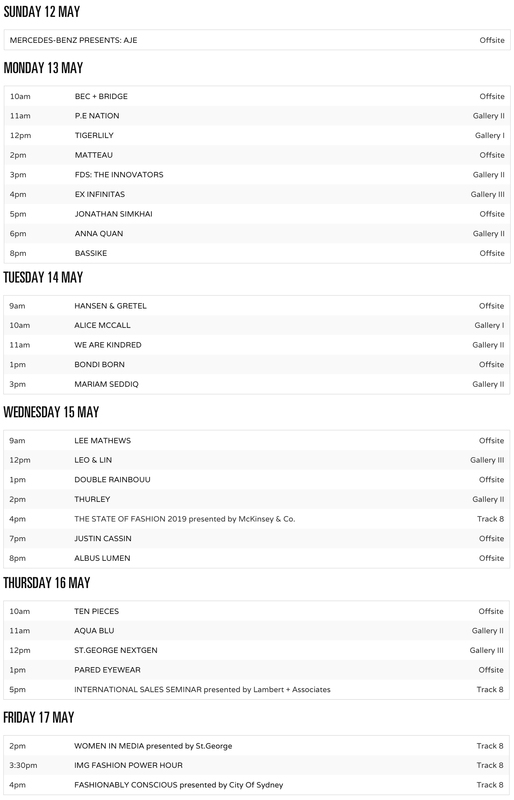 Fashion lovers rejoice: IMG have revealed the preliminary show schedule for MBFWA 2019. Kicking off Sunday 12th May, this year’s program will see a roster of emerging and established local designers showcase their 2020 Resort offerings inside Sydney’s Carriageworks precinct and assorted offsite locations. Headlining in 2019? 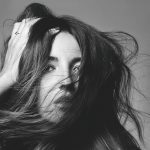 Industry trailblazers Aje: who join a host of name acts (including last year’s openers Camilla and Marc) as exclusive ‘Mercedes-Benz Presents’ designers. The announcement comes fresh off the heels of the brand’s 10 year anniversary, which was celebrated in 2018. New editions for 2019 include American designer Jonathan Simkhai and Australian outfits Ex Infinitas, Bondi Born, Matteau and Pared Eyewear. Following a 17 year hiatus, Tigerlily will make it’s anticipated return to the MBFWA arena, presenting new apparel, swimwear and accessories from the brand’s 2020 Resort collection. Likewise, MBFWA’s onsite trade showroom, The Suites will return for a third consecutive year, offering media appointments and coverage for all participating designers. “We are thrilled to welcome a diverse and talented group of seasoned and emerging designers to the fourth season of MBFWA Resort,” said Executive Director of IMG Fashion Asia-Pacific Natalie Xenita of the newly announced schedule.